Recently Xiaomi has been rolling out pretty good models in the smartphone market that usually get selected to compete with various high-end devices from top brand manufacturers. With budget-friendly devices that comes with gears which we only get to see in top-end models, Xiaomi already has dominated the budget smartphone market globally. The case is the same with Note 5 and Note 5 Pro, which are more or less in the same budget slot. 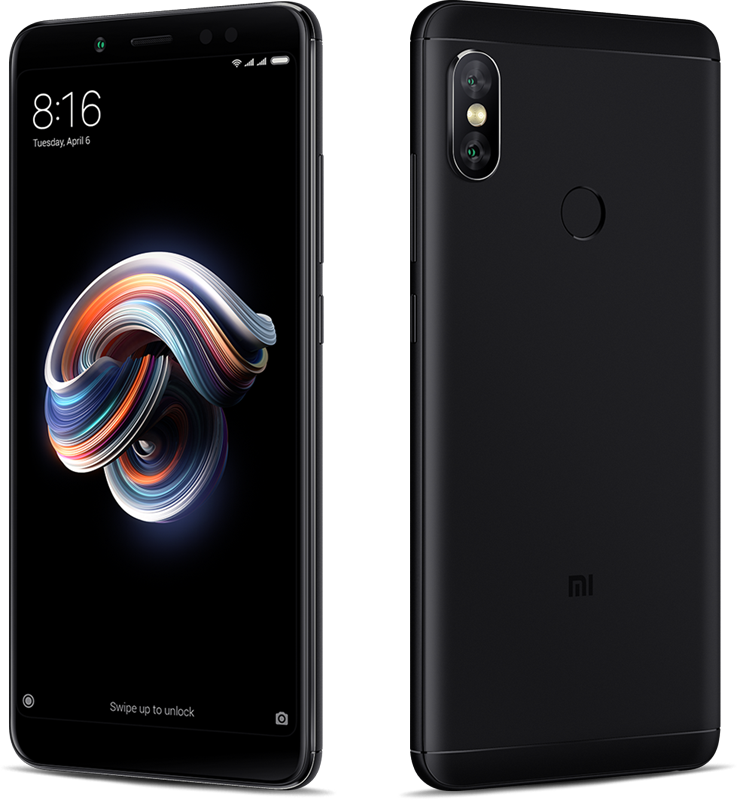 With these two devices, Xiaomi claims they have improved every aspect of shortcomings that their fans have noticed and complained about in their previous launch, the Redmi Note 4, which has been the highest selling smartphone in India. It is also worth mentioning that Xiaomi has been considered the number one smartphone manufacturer in India by selling more devices than Samsung does. Here both the Redmi Note 5 devices are very reasonably priced and come out of the box equipped with the best available gears on the market for the price range today. With just a difference of Rs 4,000 between the upper and lower tier models, choosing a perfect Redmi Note 5 device might be confusing. However, with the help of this detailed comparison, you will find out which one is the device that will suit you the best. So today, we are here to show you a complete review of the two and find out how well it is going to hold up a place in the smartphone market. With a front glass, aluminum body and plastic ends, both the Redmi Note 5 & Redmi Note 5 Pro look and feel extremely astonishing. The lower version Redmi Note 5 keeps the design similar to its predecessors with a single camera and a fingerprint scanner right below it on the rear. 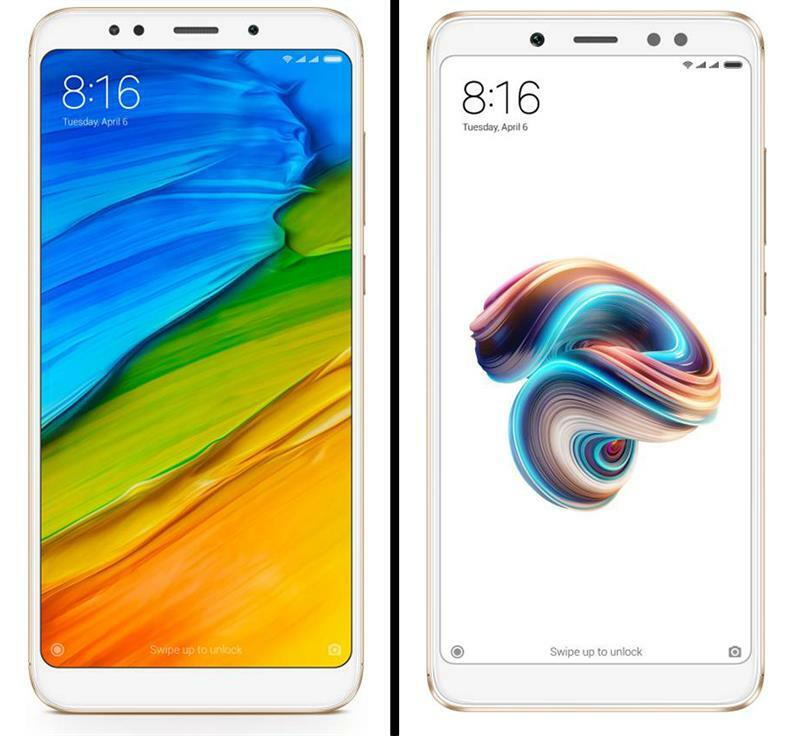 Whereas the Redmi Note 5 Pro looks extremely appealing with a design that has been inspired from Apple iPhone X. Other than slight differences in the rear area, both the Note 5 devices are very close in terms of design with slight variations in their dimensions - to be precise, 0.1 mm in height, 0.1 mm in width and 1 gram in weight. Talking about the port below the bottom chin, it is equipped with an older micro USB port, where it would have been nice to see a USB type C, at least for the pro version, but sadly that's not the case here. Alongside the micro USB port, there are also two grills; one holding the actual speakers and the other one holding a microphone. On top, we can see the 3.5 mm headphone jack (thanks to Xiaomi for not tearing it off) along with an IR blaster that has stopped being a trend on smartphones these days. Apart from that, both the devices also provide an unspecified version of Corning Gorilla Glass for added protection in front. In terms of display, it's the first thing that you will surely notice when you grab these devices up. However, the displays of these devices are identical with 5.99-inch IPS LCD screen which occupies most of the front part with nearly 77.4% screen-to-body ratio. This means that the bezels of the devices are very thin, though completely bezel-less displays are being a trend these days, the top and bottom chin are slightly thicker. Both of them also offers the currently trending display resolution of 1080 x 2160 pixels with an 18:9 aspect ratio. Sadly, the biggest con that Xiaomi has left in these Redmi flagships is that they let their devices come out of the box with an older operating system running inside it. Yes, you heard me, Redmi Note 5 and Note 5 Pro comes with Android 7.1.2 Nougat inside them on top of the MIUI 9. This makes most of the Xiaomi fans unhappy, as the devices of 2018 are already launching with the latest Android 8.0 Oreo inside them. Keeping aside the unhappiness of the OS inside them, Redmi Note 5 is powered underhood with a powerful Snapdragon 625 Octa-core processor, whereas the Redmi Note 5 Pro has an added advantage with a slightly more powerful Snapdragon 636 chipset in it. In terms of GPU, here too both the devices slightly differs with Adreno 509 and Adreno 506 for the base and upper versions of Redmi Note 5 devices respectively. Where things get seriously different is in the field of RAM that is running inside them. The top model, Redmi Note 5 Pro, delivers a 6 GB and a 4 GB variant along with a 64 GB inbuilt storage that is expandable up to 256 GB through microSD card via SIM2. The Redmi Note 5 on other hand offers the same two variants but in a different manner. Here a user gets to choose between a 64 GB model that offers 4 gigabytes of RAM and a 32 GB one with 3 GB RAM. After all the added benefit is for those who go for the upper version of Redmi device, as they get to choose directly between 4 gigabytes and a 6 gigabytes variant keeping the internal storage unaltered. When it comes to choosing between a single and a dual camera, which one would you love to go for? Especially in 2018, people would always prefer dual camera setup rather than single. This is the field where the Note 5 Pro lovers are gonna enjoy. As said before, only the pro model of Redmi Note 5 gets the dual camera setup, where the lower model has been stuck up with a single camera on the rear. The dual camera is the most exciting thing to talk about the Redmi Note 5 Pro. As promised it will be coming with 12 MP + 5MP dual sensor with f2.2 and f2.0 apertures respectively. For the basic Redmi Note 5, the rear camera features a single 12 MP shooter with an f2.2 aperture along with the dual tone LED flash just like that in the Pro model. The Redmi lineup hasn't yet come up with much-advanced autofocus technology, rather decided to keep the price in the budget by delivering a phase detection autofocus for both the Note 5S. When talking about the selfie camera at the front, here too the Pro model has got really bigger hands, as it features an amazing 20 MP camera, which is a Sony sensor with f 2.2 aperture. Not just that, with the front-facing LED flash, the Note 5 Pro is trying to be the new Selfie king in the smartphone market. However, the basic Note 5 has got a 5 MP shooter as secondary camera alongside a 1080p resolution of video recording capability. Battery capacity is where most Xiaomi devices defeat flagships of other brands when put to a comparison. Xiaomi had delivered both the Redmi Note devices with a bigger 4,000 mAh battery which will give enough juice to entertain you for a full day. With this huge battery capacity I'm pretty sure that with a light to medium use, the Redmi Note 5 and the Redmi Note 5 Pro can last a full day by leaving some juice for the next day as well. Although you may be happy with the huge battery capacity that these devices are offering, there isn't any information regarding fast charging capability within these devices. If fast charging is not a thing in Xiaomi Redmi Note 5 and the Note 5 Pro, then you are going to need a lot of hours to charge up that brick under your device. As it has been a couple of days since these devices have launched, the Redmi Note 5 & the Redmi Note 5 Pro are readily available to you in the Indian markets. Talking about the pricing that these devices are going to hit the markets, the Note 5 starts at Rs 9,999 and goes up to Rs 11,999 based on the variant that you choose. However, the Pro version starts at Rs 13,999 for the base variant and goes up to the Rs 16,999 price mark if you are ready to buy the top tier model. 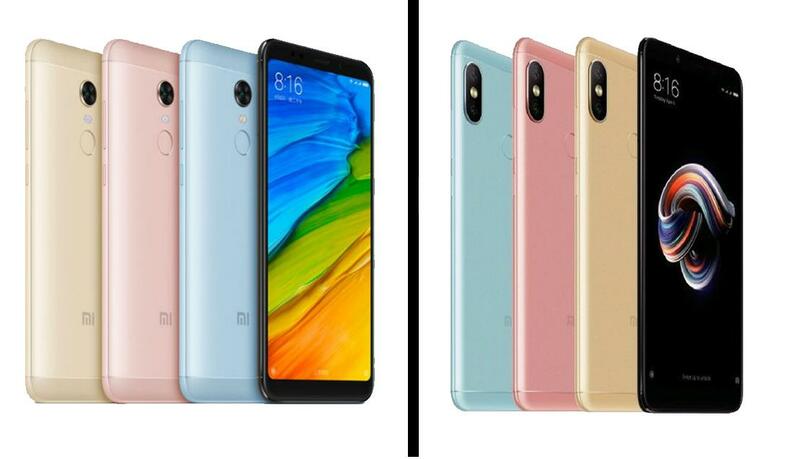 Redmi Note 5 vs Redmi Note 5 Pro: Which one should you buy? First of all my suggestion to all those Redmi Note 4 owners, if you're reading this review, then I won't recommend you to upgrade your Note 4 and go for Note 5, as both of them are quite similar in performance with Note 5 being just a screen upgrade. Rather if you want to really upgrade, then it is better to go for Note 5 Pro which is a lot better with dual camera and higher performance. Taking the prices into consideration, if your budget is maximum Rs 10,000 and you are looking for the best smartphones under Rs 10,000, then the best option for you is to go for the base variant of Redmi Note 5 that is priced at Rs 9,999. With 3 GB of RAM and 32 GB internal, the device will have everything to offer that you're looking forward to. However, if you have a 4,000 Rs more to afford, then the base variant of Redmi Note 5 Pro is the better choice, especially if you love that portrait bokeh effect of the dual camera. But the Xiaomi still offers a top-tier model with an added 2GB RAM for those who can afford that last extra Rs 2,000 currency. that was pretty good comparison between redmi note 5 and Redmi Note 5 Pro which help buyer to decide which one is best for them.